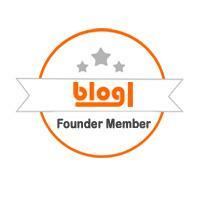 I absolutely love aromatherapy and always have a variety of aromatherapy oils on hand at home. 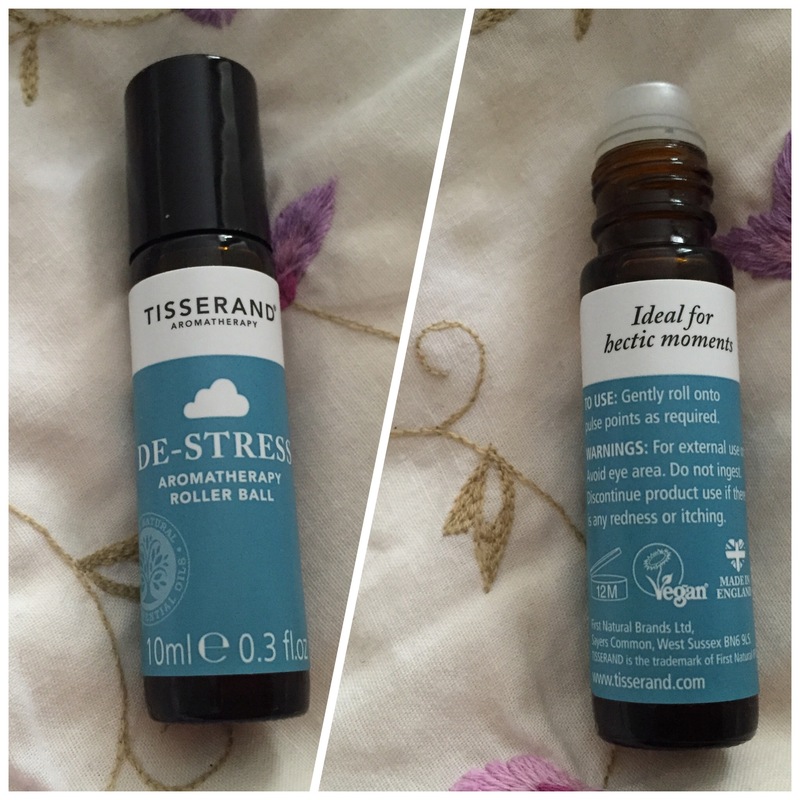 One of my favourite aromatherapy brands is Tisserand Aromatherapy. 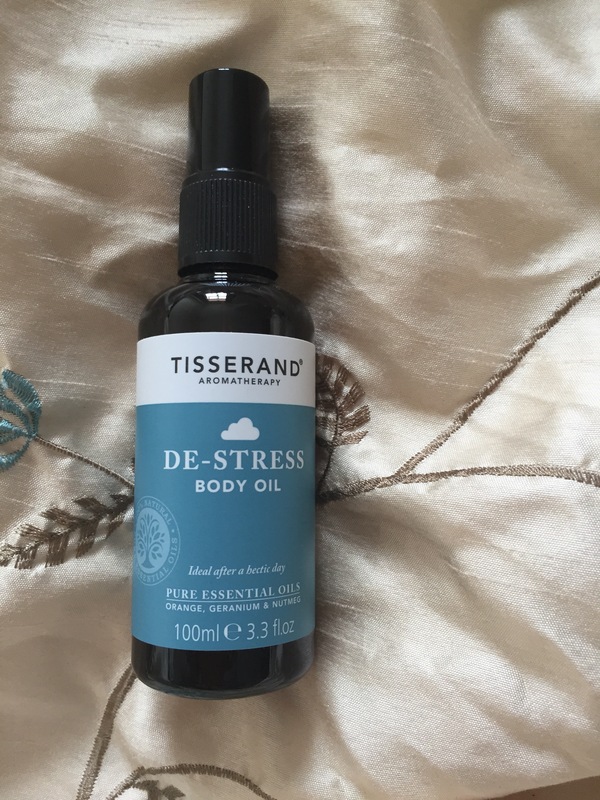 Tisserand Aromatherapy specialises in essential oils, professional and creative aromatherapy, natural perfumes and personal care products. Tisserand sources its oils from all over the world and guarantees they are 100% pure, organic and wild crafted or ethically harvested and sourced from only known botanical species to ensure maximum fragrance, intensity and purity. 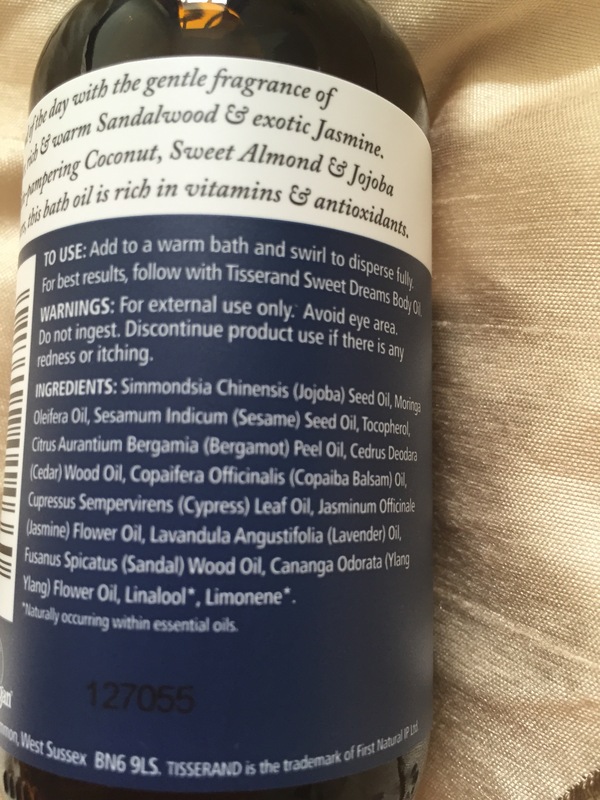 Tisserand’s organic oils are also Soil Association Certified and Vegan Society Approved. 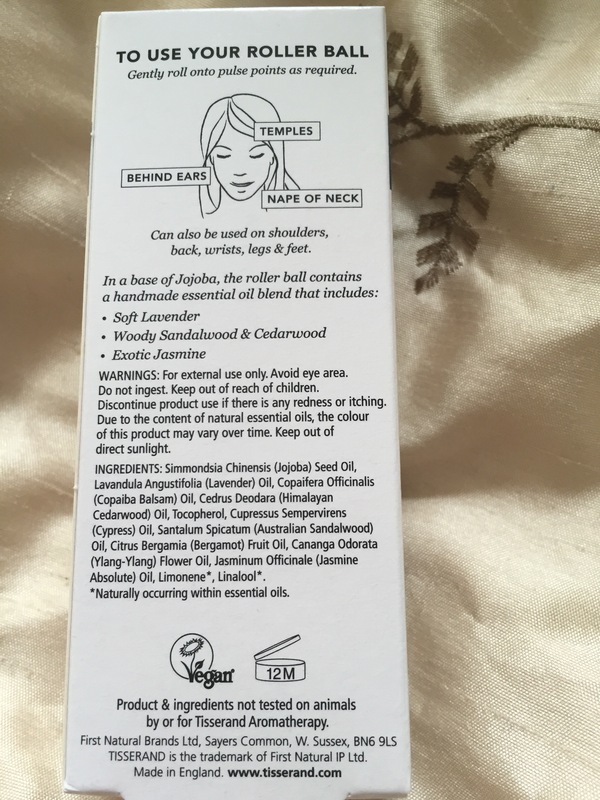 ‘NO’ to OTHER INGREDIENTS WE CONSIDER UNSOUND Such as phthalates, formaldehyde, petrochemicals (such as mineral oil, paraffin and petrolatum), propylene glycol, aluminium compounds, triclosan, BHA, methyldibromoglutaronitrile, triethanolamine, DMDM hydantoin, diazolidinyl urea and quaternium-15. ‘YES’ to ORGANIC We go organic wherever possible. Blended using a combination of calming Lavender, Jasmine and Sandalwood essential oils, combined to encourage a peaceful nights sleep. 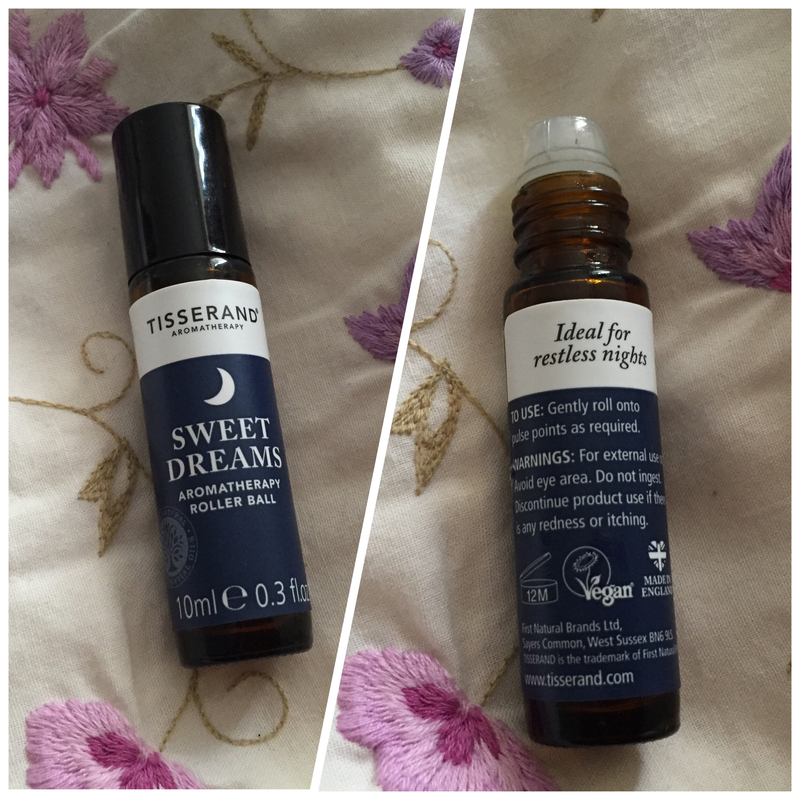 Sweet Dreams Bath Oil is enriched with skin-pampering Coconut, Sweet Almond and Jojoba natural moisturisers, Tisserand Sweet Dreams Bath Oil is rich in vitamins and antioxidants. 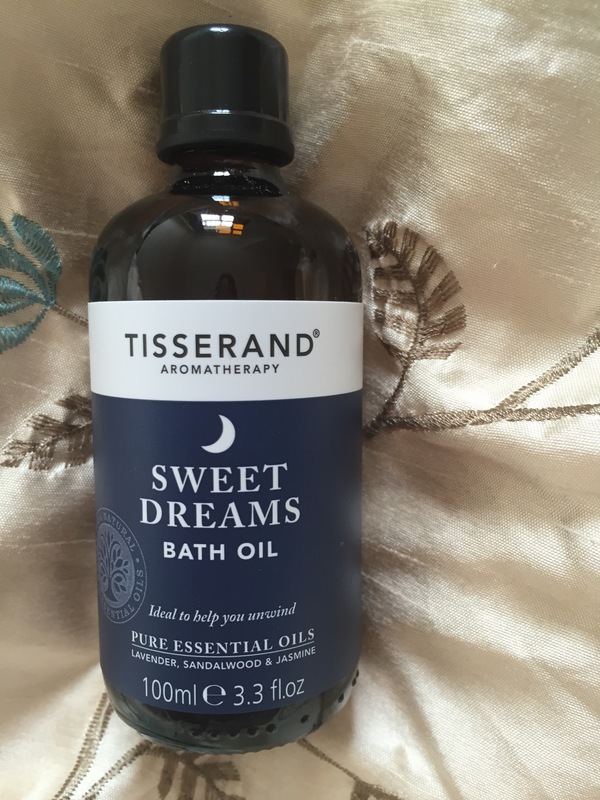 After a long and hectic day, the Sweet Dreams Bath Oil is the perfect antidote for me. I simply add a few capfuls to a warm bath and swirl to dispense fully. The bath oil is ultra-relaxing, pampering and helps my mind switch off to promote a good night’s sleep. It is packaged in a recyclable glass bottle. Soothe, calm and relax naturally for a peaceful night’s sleep. In a nourishing base of pure Jojoba oils, enjoy the benefits of pure essential oils including: soothing soft Lavender, comforting Sandalwood and relaxing Jasmine. 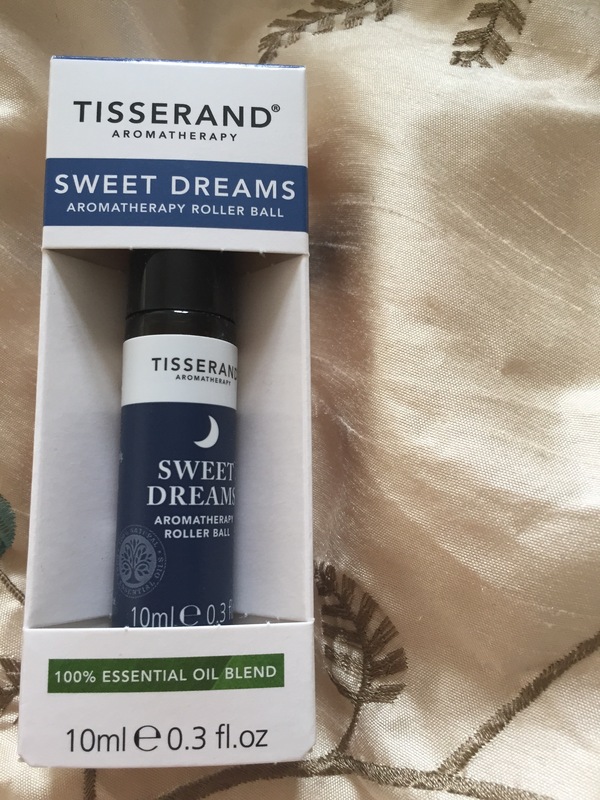 The Sweet Dreams roller ball is a 100% natural aromatherapy fragrance in a convenient roll on ideal for restless nights. 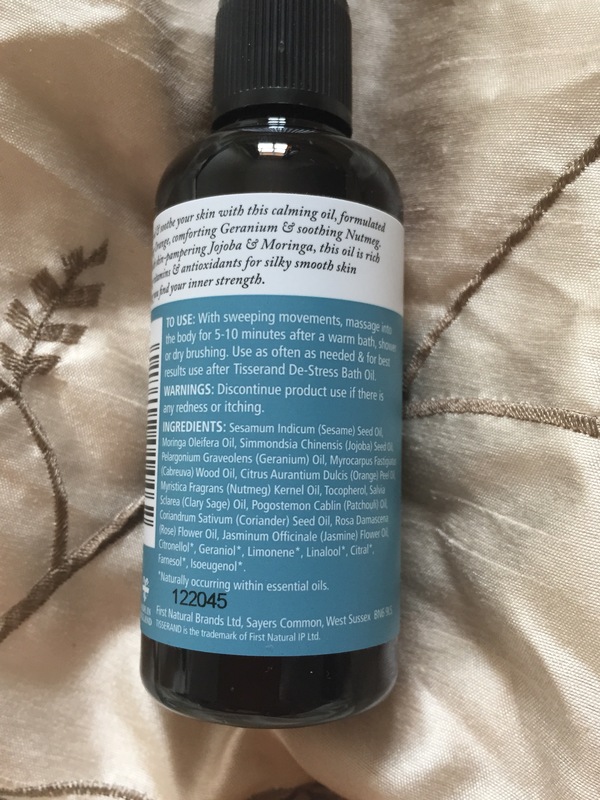 After a bath with the Sweet Dream Bath oil, I applied the roller ball to my temples, behind ears, wrist and feet. It soaks into the skin easily and doesn’t feel greasy at all. I absolutely love the aroma. I also use it on my little munchkins as part of their night time routine. They love it especially behind their ears and feet as it gives them the giggles! It comes in a recyclable glass tube with roll on in a carton box. Relax, unwind and soothe your skin with this calming oil, formulated with refreshing Orange, comforting Geranium and soothing Nutmeg. Combined with skin pampering Jojoba and Moringa, this oil is rich in nourishing vitamins and antioxidants for silky smoothing skin whilst helping you find your inner strength. I love this body oil. It has a lovely comforting aroma. Simply massage into body after a warm bath, shower or dry brushing. It soaks into the skin easily and doesn’t feel greasy. A little goes a long way and it leaves you with silky smooth skin. It comes in a recyclable plastic bottle with pump dispenser. 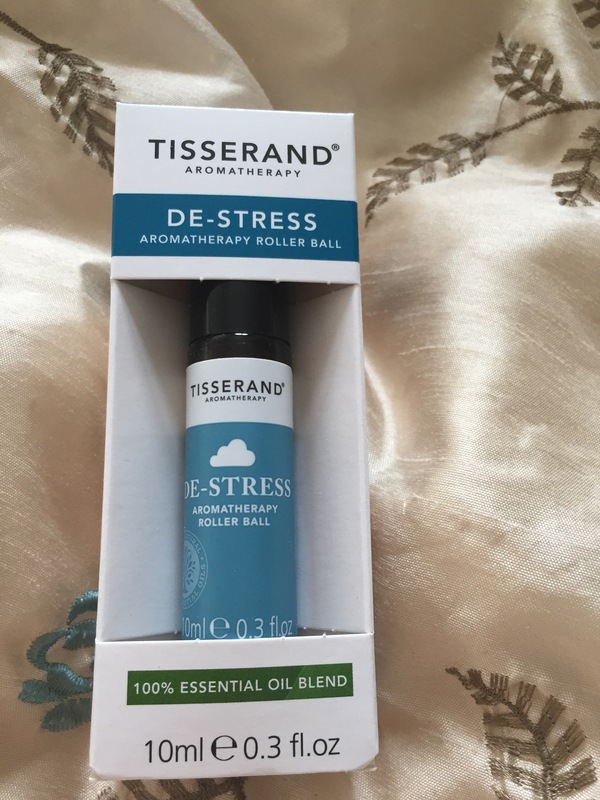 The De-stress roller ball is a 100% natural aromatherapy fragrance in a convenient roll on ideal for hectic moments. I always carry an aromatherapy roller ball with me. They are convenient and easy to use when you’re on the go. It fits easily in my pocket or hand bag. I simply apply to my pulse points when needed. It has a really comforting aroma which isn’t overpowering. I find it very effective when I’m feeling stressed or all over the place. 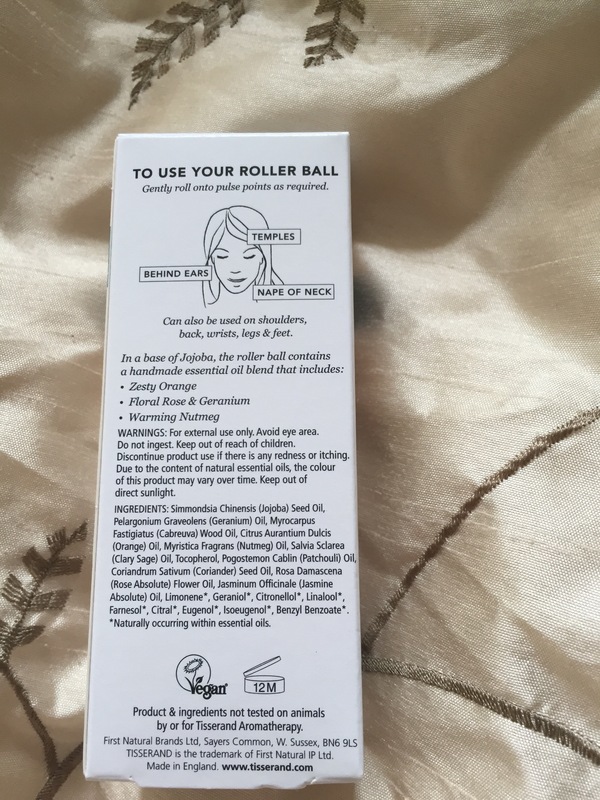 The roller ball comes in a recyclable glass tube with roll on in a carton box. I hope you found this review helpful. Please feel free to leave any comments below.